Although not as powerful as the magnitude 7.1 earthquake on 4 September 2010, this earthquake occurred on a shallow fault line that was close to the city, so the shaking was particularly destructive. The earthquake brought down many buildings damaged the previous September, especially older brick and mortar buildings. Heritage buildings suffered heavy damage, including the Provincial Council Chambers, Lyttelton’s Timeball Station, the Anglican Christchurch Cathedral and the Catholic Cathedral of the Blessed Sacrament. More than half of the buildings in the central business district have since been demolished, including the city’s tallest building, the Hotel Grand Chancellor. Liquefaction was much more extensive than in September 2010. Shaking turned water-saturated layers of sand and silt beneath the surface into sludge that squirted upwards through cracks. Thick layers of silt covered properties and streets, and water and sewage from broken pipes flooded streets. House foundations cracked and buckled, wrecking many homes. Irreparable damage led to the demolition of several thousand homes, and large tracts of suburban land were subsequently abandoned. The government declared a national state of emergency the day after the quake. Authorities quickly cordoned off Christchurch’s central business district. The cordon remained in place in some areas until June 2013. Power companies restored electricity to 75 per cent of the city within three days, but re-establishing water supplies and sewerage systems took much longer. The Oi Manawa Canterbury Earthquake National Memorial was opened on 22 February 2017, the sixth anniversary of the earthquake. 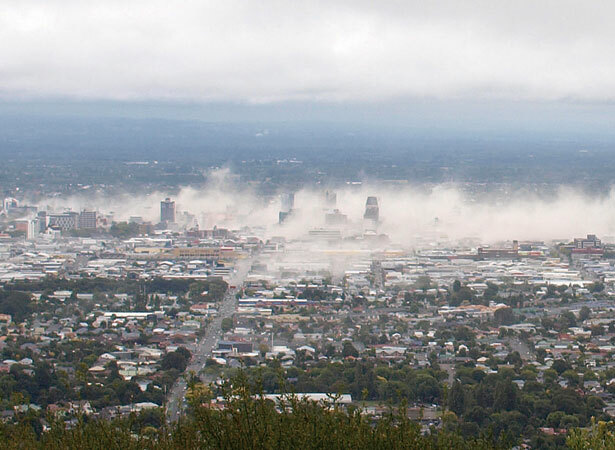 We have 2 biographies, 8 articles, 5 comments related to Christchurch earthquake kills 185. I think that this was a very sad and emotional event for New Zealand. But there are positives and negatives to this event, the negatives being of course the damage and loss off life because of the quake. But also the positives, like the fact that this quake brought New Zealand together, it brought out the compassion, and the sympathy in people to help build back up what once was a beautiful city, into a even better and renewed christchurch that it is today. I believe that this was one of the most tragic natural disasters that had ever occurred in New Zealand ever before!! We as humans need to step up and take actions rather than moping around and making everyone feel sorry for us and what had happened. Christchurch has been through a tough six years but soon everything will be normal again. There was very little destruction caused to buildings. More damage was caused by illegal and misguided rescue teams, and a confusion about official markings - buildings were marked with a red sticker as a warning not to enter, and contractors interpreted this as a license or reason to demolish the building. Many historic and other buildings which could easily have been repaired were destroyed due to this simple confusion. Nearly five years later it is still common for the red markings to be interpreted as a license to demolish. It is a good story but all is correct. The Christchurch CBD was reopened only 2 weeks ago - around the beginning of May 2013 - and not all of it. Electricity and sewerage connections are still not supplied to quite a few houses and many people continue to use Port-a-Loos and wash in buckets. A considerable number of houses are not repaired and people are still camping out in them as they cannot afford to move.